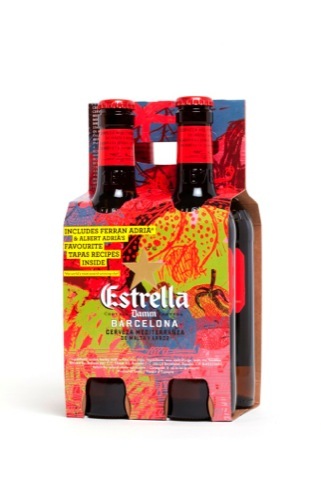 Estrella Damm is to launch a new look for the UK market, characterised with seven packaging designs by Catalan designer Marti Guixe. 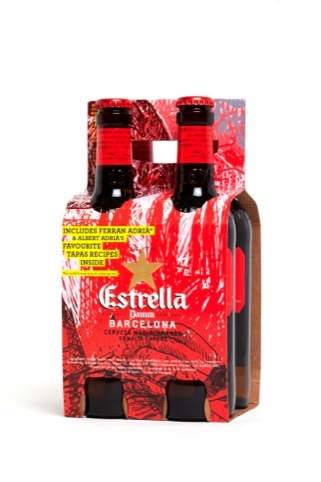 Guixe, who was born in Barcelona and lives in the city, was asked by Estrella Damm to create packaging which links ‘The Beer of Barcelona’, to Catalan chef Ferran Adrià and gastronomy. 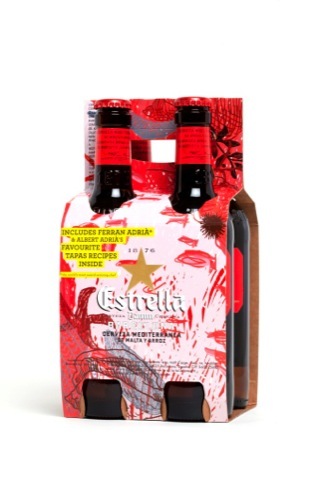 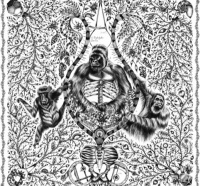 The seven designs focus on different aspects of life in Barcelona and feature collectable recipes by Adria. 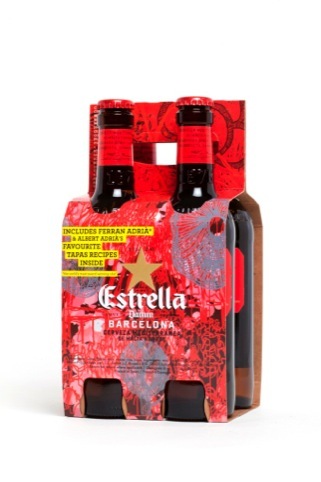 Other cues included UK beer drinkers’ understanding of the brand as ‘lively sociable, fun, for food lovers, and having a sunny personality,’ according to Estrella Damm. 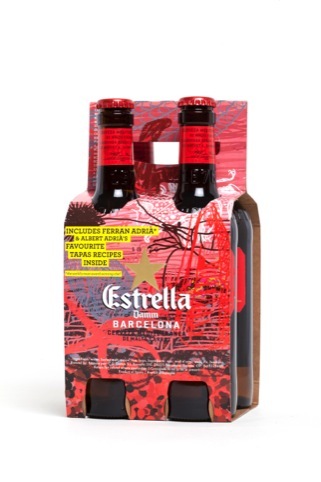 ‘Marina abstracto’ packaging (pictured), is an abstract created from the Marina in Barcelona and features a floral Gaudi motif, while other variations include one dedicated to tourist hotspot La Rambla, a ‘fondo de mar’ under the sea design, another inspired by Gaudi’s Sagrada Familia cathedral, and another dedicated to the dish paella.